Lives are made up of a collection of moments, both important and unimportant, decisions both major and minor, and relationships between people, both loving and less than cordial. Friday evening I was privileged to photograph a Roaring 20’s themed fundraising event at the Bently Reserve celebrating the 20th anniversary of a moment when a decision was made that has changed countless lives for the better. Twenty years ago, Dawn and Ron Stueckle and their friend Delvin Mack co-founded Sunset Youth Services. Rev. Stueckle and his wife were young, idealistic newlyweds, determined to make a difference in the lives of young people. Rev. Mack wanted to focus on Asian youth in the juvenile justice system. Since then, with their stated mission “to foster long-term stability and growth for in-risk youth and families through caring relationships and supportive services”, they have created a vibrant community. Sunset Youth Services offers case management, which helps prevent juvenile delinquency and violence. (90% of their youth in case management avoided repeat offenses versus 30% from the Youth Guidance Center). They have a Youth/Teen Center where kids can hang out after school and do homework, socialize, or talk to caring adults. They offer digital arts and technology training, which can lead to careers in the future while keeping youth out of trouble in the present. In addition they also offer Family Crisis services, Life Skills training, a Food Pantry, and Café food preparation training . . .
SYS serves over 3500 families a year in San Francisco. The families they serve come from all over the city, and many of them are immigrants. I heard stories from people who have been through the program – a woman who is now ‘fighting in the boardroom rather than out fighting on the streets’, a young adult who is receiving support as he completes his GED and prepares for college, a mother who struggled to manage her home life but now has a plan for the future . . .
With a program like this it’s no wonder that SYS has the support of politicians, police, and the public. Dawn, Ron, and Delvin are an inspiration to us all. And, a week after the tragedy in Boston, I have to wonder – if the Tsarnaev brothers had been involved in one of Sunset Youth Services’ programs, would the story be different? This is not what I had planned to write about this week, but life is full of the unexpected. My friend Bill passed away on Friday, just after midnight. The unexpected part of that sentence is not that Bill died, but that he was my friend. I first noticed Bill several years ago. I noticed him walking his dog around the neighborhood, I noticed him sleeping in his van across the street from my house, and I especially noticed him because he genuflected when he passed the catholic church up the street and he made his dog kneel, too. But Bill wore a torn old Army jacket, he was disheveled and smelly, so I noticed him without really paying attention to him. A neighbor shared that Bill was undergoing chemo treatments and had healthcare workers coming to the van. I was surprised that someone would make “van-calls” in this era of no more “house-calls”, so I decided to find out more. 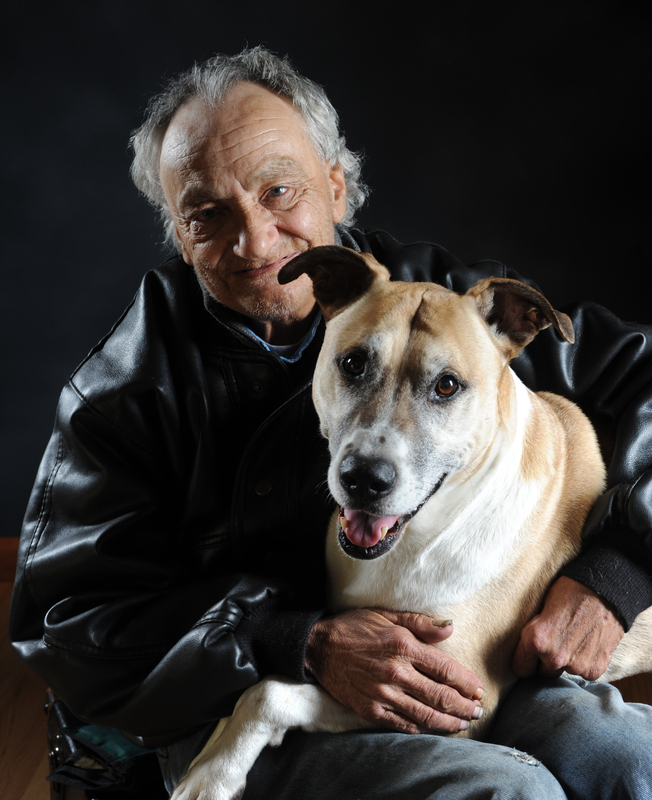 I learned that Bill, a Vietnam veteran, had worked until the cancer had made work impossible, and that then, rather than go into a medical facility that didn’t allow dogs, he had chosen to forego treatment rather than abandon his beloved dog, Hero. Sutter Health, recognizing how special this man/dog relationship was, had decided to treat him from the van. I introduced myself and my dog Stella to Bill and we started to get to know each other. After some months I realized that the best thing that I could do was to photograph Bill with Hero. He had few possessions and only one treasured photograph of the girlfriend he had lost in a tragic car accident. I created the portraits and he took them everywhere – to chemo, to the hospital, to the SRO that they eventually got him into, and then to the community partnership housing apartment that was his dream home. Meeting Bill was a gift. I like to think of myself as a good person – I try to be nice to others, I give to charity, I support the rights of others, I pay my taxes . . . But I was guilty of creating a line between the “us” of people living in buildings and the “them” of the homeless until I met Bill. I won’t make that mistake again. 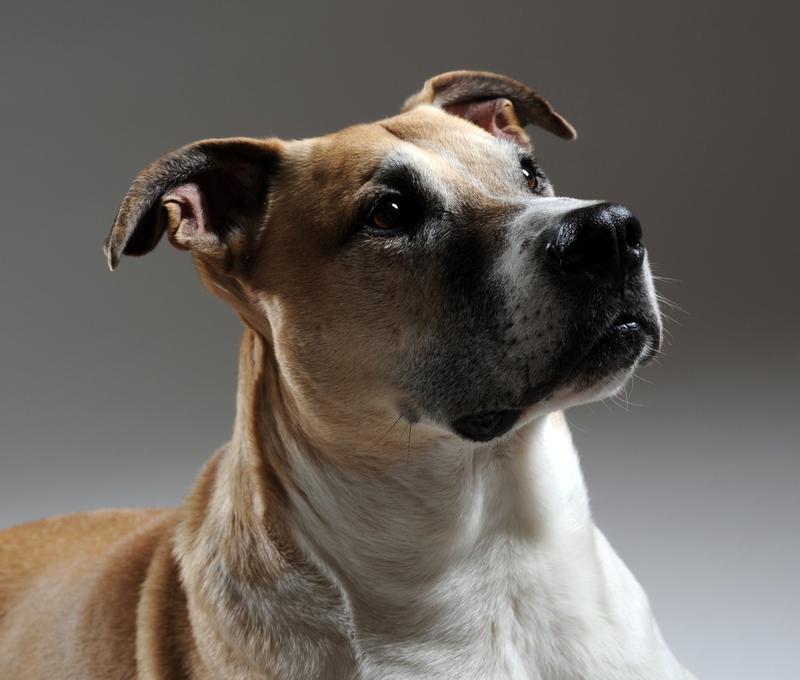 PS – Hero needs a loving home. Please contact me if you are interested in adopting him.